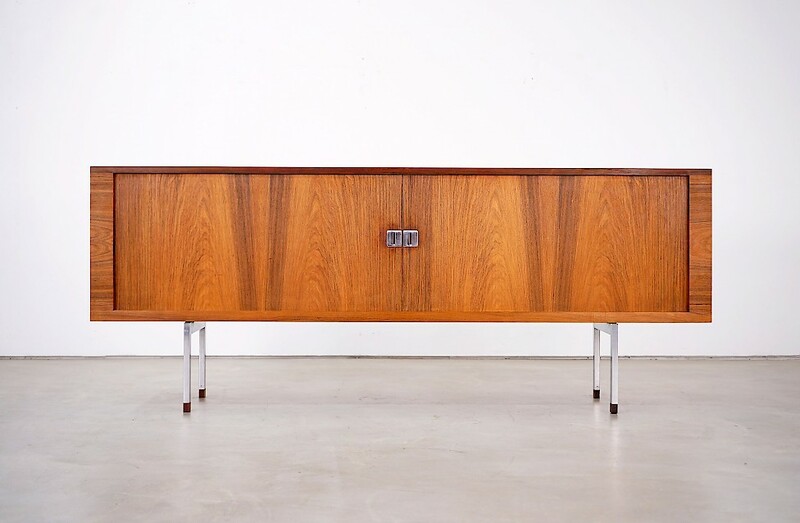 Hans Wegner designed this "RY-25 President" sideboard for Ry Møbler. In addition to its clear edges, the sideboard is characterized by its perfectly crafted jalousie doors. The piece is dated to 1962 and provided with a sticker of the manufacturer. The sideboard rests on a steel frame, the feet are provided with wooden finishes. The piece of furniture has three shelves and three drawers in the middle. The sideboard is in an excellent condition.